IntegraGen's European Headquarters is located in Evry, France, about 30 kilometers south of Paris. Our offices and research facilities are located in the heart of the "Genopole", the French Genomic Valley. 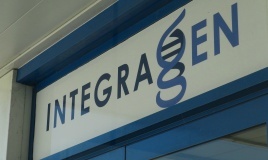 IntegraGen's U.S. headquarters is based in Cambridge, Massachusetts.